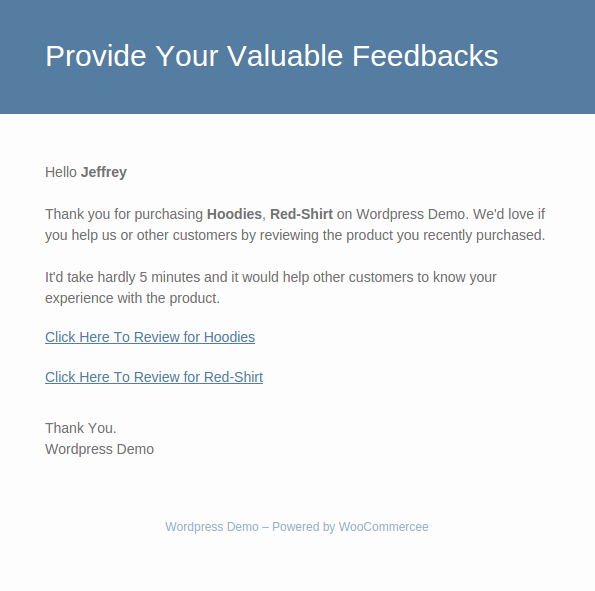 Sends pending payments, pre delivery and product feedback reminder emails to customers in Woocommerce. Admin can send reminder emails easily to customers. Each email is fully customizable in the backend. First Pending Payment Reminder – After Certain Days If Status Of Order Is In Pending State. Second Pending Payment Reminder – After Certain Days And If First Pending Payment Has Already Been Sent. Third Pending Payment Reminder – After Certain Days And If First & Second Payment Reminder Has Already Been Sent. When Customers Places New Order – Delivers An SMS To Customer Confirming About New Order Placed. Product Review/Feedback Reminder For Getting Valuable Feedbacks From Your Store Customer Regarding Their Purchase. Product Delivery Reminder – Delivers An Email / SMS Notification To Customer Regarding Delivery Of Products In His/Her Order Before Delivery Date. Admin can customize emails as they normally do with other default woo-commerce emails. Send first payment reminder email or SMS to your customers after few days is order is in pending status. Send second payment reminder email or SMS to your customers after few days when first payment reminder has already been sent. Send third payment reminder email or SMS to your customers after few days when first and second payment reminder has already been sent. This plugin allows you to send product delivery reminder email and SMS notification to your store customers. Delivery date can be finalized by admin. Encourage your customer to leave feedback on recent purchase to improve customer experience. 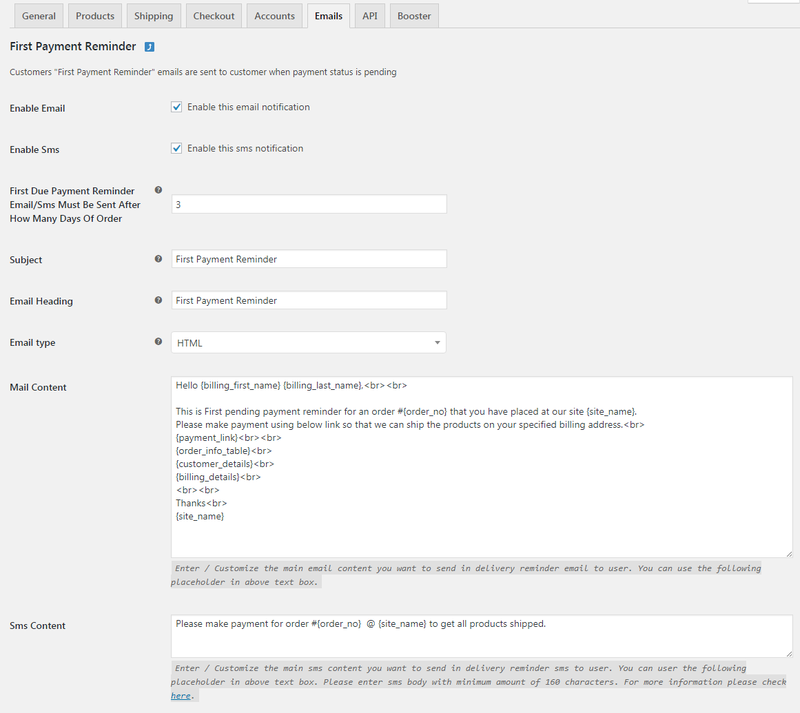 Admin can easily customize email & SMS contents by inserting product details and payment link. 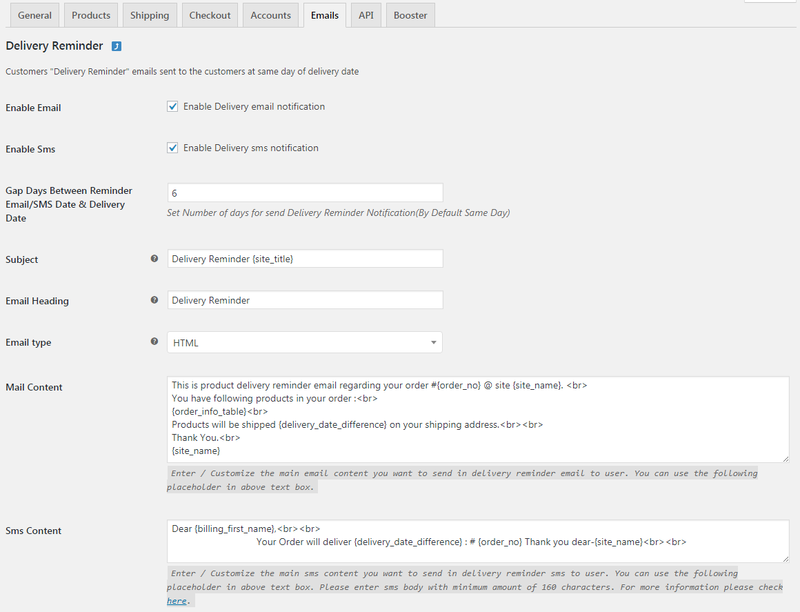 Admin can customize email & SMS contents for pre-delivery notification and can send estimated delivery date. 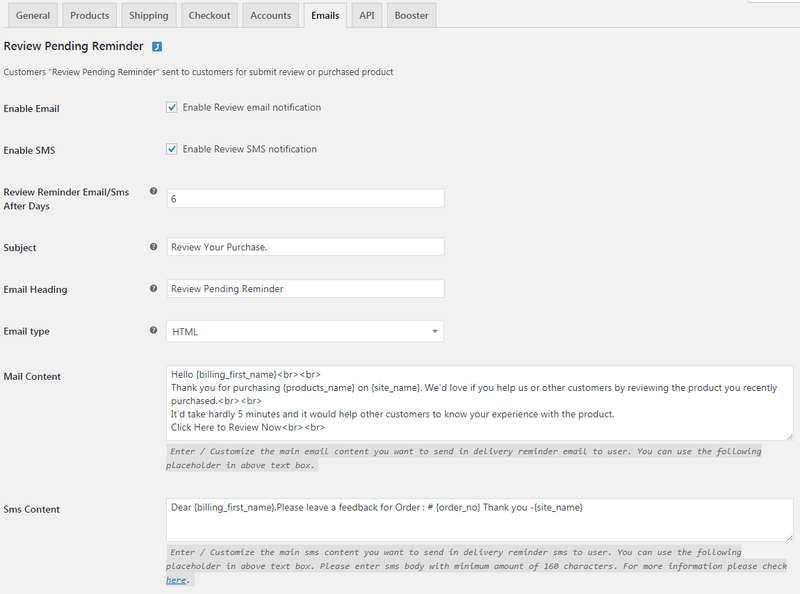 Admin can customize feedback reminder email in woo-commerce. Admin can see all notifications log on order details page. 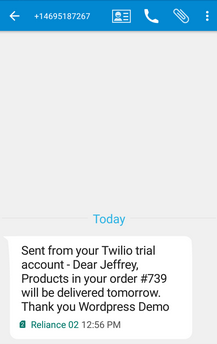 Admin can configure Twilio SMS gateway setting to send SMS notifications to woo-commerce customers. Send SMS confirmation to customers when the order is placed successfully by them. This plugin allows you to control woo-commerce notifications easily. 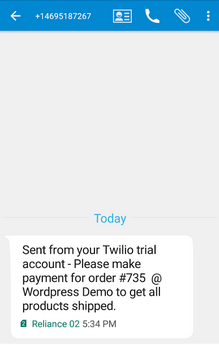 Below SMS Are Received From Twilio Trial Account. 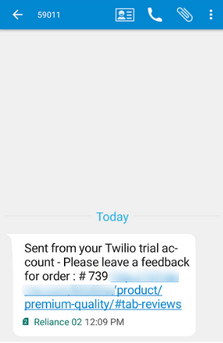 From Name & Number Can Be Configured From Twilio Account. 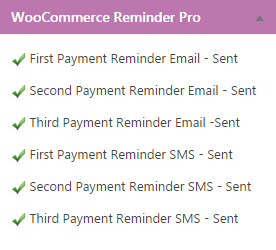 Step 1: Install WooCommerce Reminder Emails WordPress plugin. Step 2: Customize Email Content. 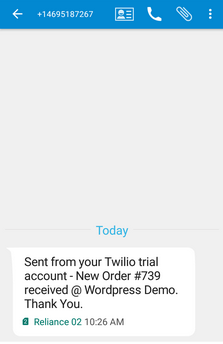 Step 3: Setup Twilio Account If SMS Sending Is Required. 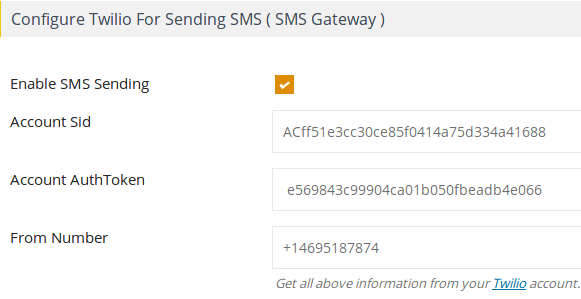 Step 4: WP Cron will automatically send Emails/SMS notification.